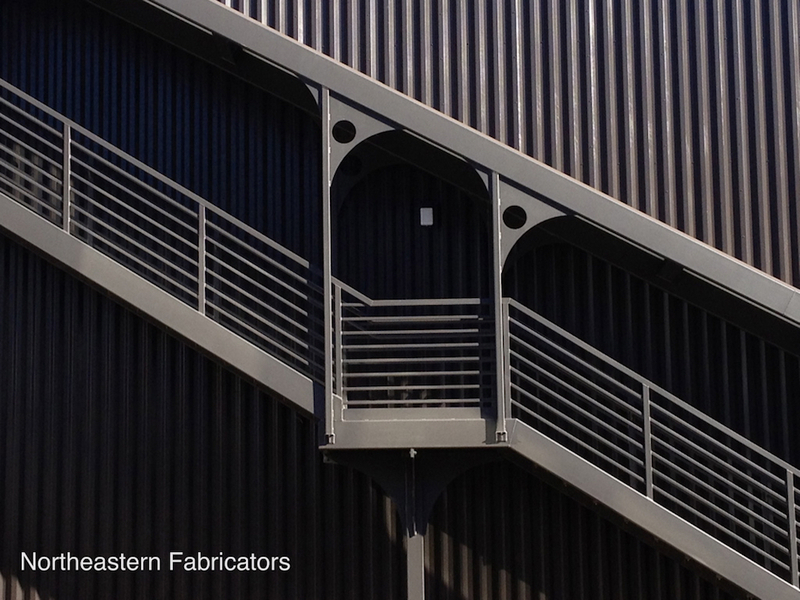 Creative design for business and industrial settings is just as rewarding and exciting as creating interiors for homes, hotels and spas. 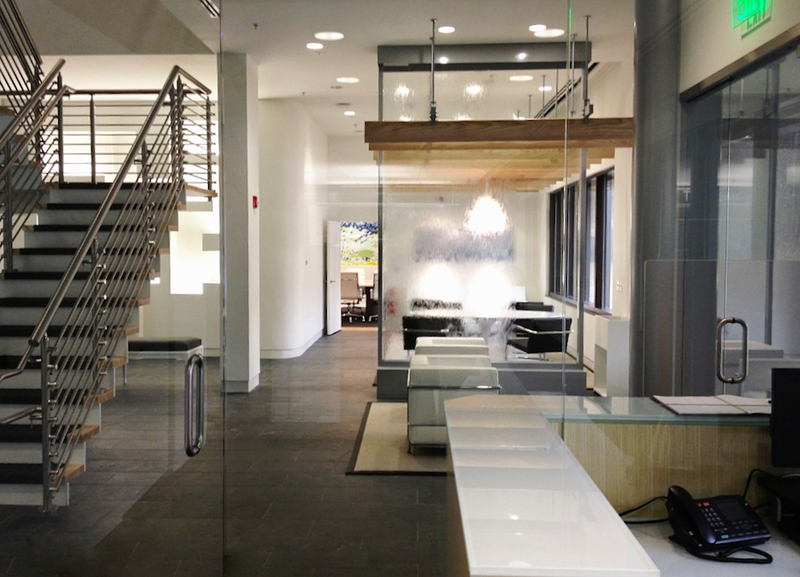 Ultimately, workplace design should enhance the workday experience — for employees, clients, visitors and even investors. 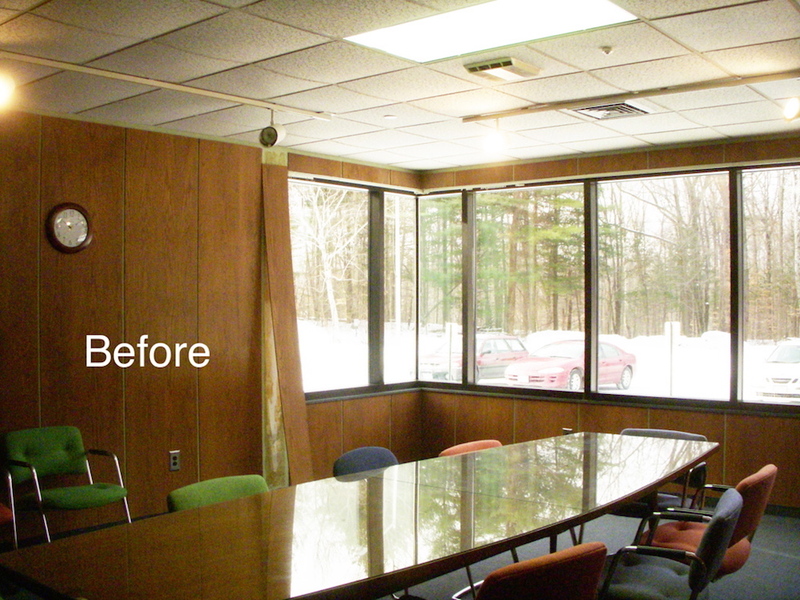 We had a great opportunity to transform an older Berkshire industrial space, when were here hired in 2013 by the former Crane & Co.’s technology division in Pittsfield to redesign the entire facility. 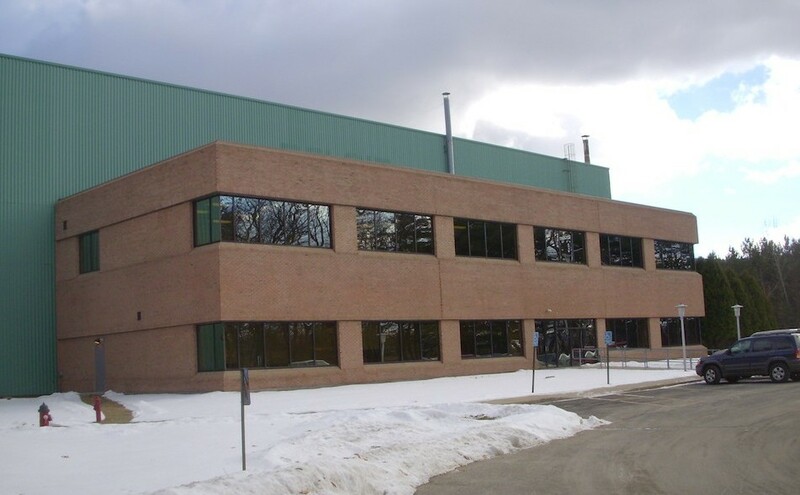 The plant, which produces hi-tech nonwoven products for filtration and other industrial and environmental uses (the business has been sold since, but remains operating in full swing), was a 21st century business in an outdated brick slab building. 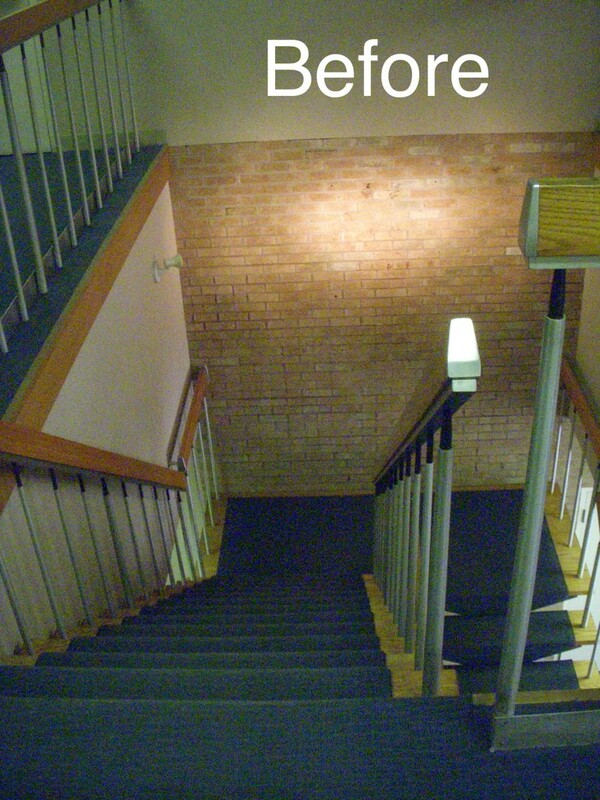 Interior drab and run down had taken hold over the years, so imagination was needed to bring the facility around to reflect the sophisticated work that was happening inside. At first, we didn’t think the Crane team would hire us, so this freed us up to develop some truly adventurous plans. 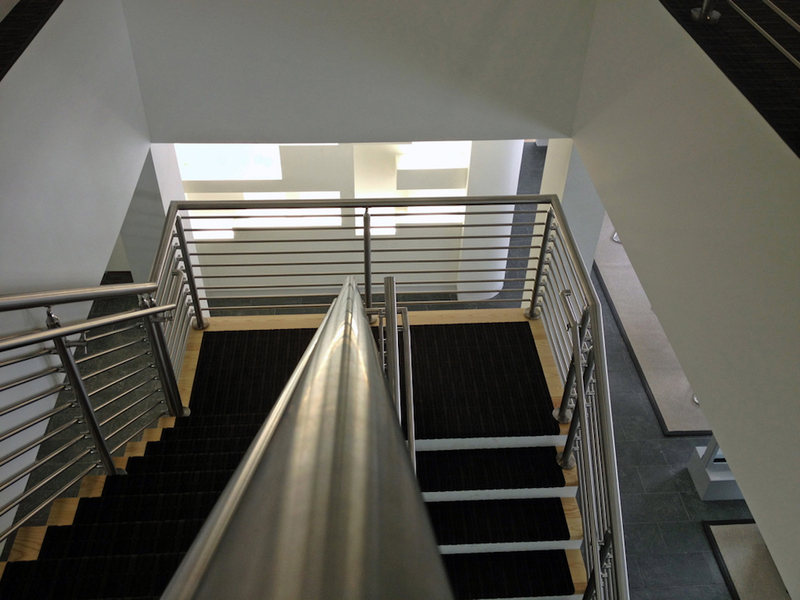 We listened very carefully to the project leader at Crane and we understood what they really wanted. 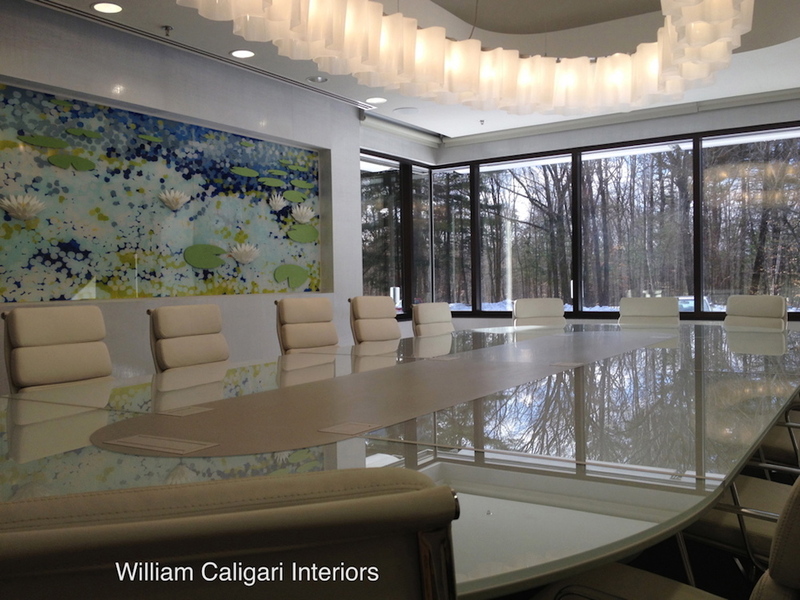 As things turned out, they hired us on the spot after we delivered our presentation, with some great hand sketches, that conveyed a dramatically transformed interior and exterior. They never asked us to address the exterior but we couldn’t put our interior into that brick block so we showed them what they could do. Water, fiber, the colors white and blue — all are prominent in the manufacture of nonwoven filtration materials and their artesian well — so we allowed these features to drive our design.We departed from those touchpoints on the exterior: we painted the entire brick building black, designed great fire escapes and applied aluminum fins which are primarily decorative. Between the black body and the aluminum fins, we achieved our contemporary objective. Employing the Crane fiber in the design was a key element to the success of the project. 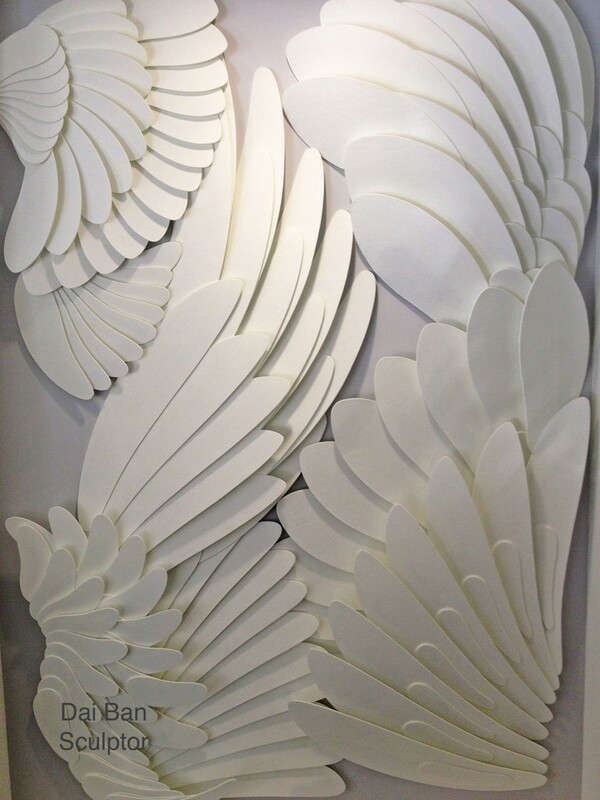 The dove wing sculpture (below) and the conference room water lily mural (above) — conceptualized, built and installed by local artist Dai Ban — were strong additions. 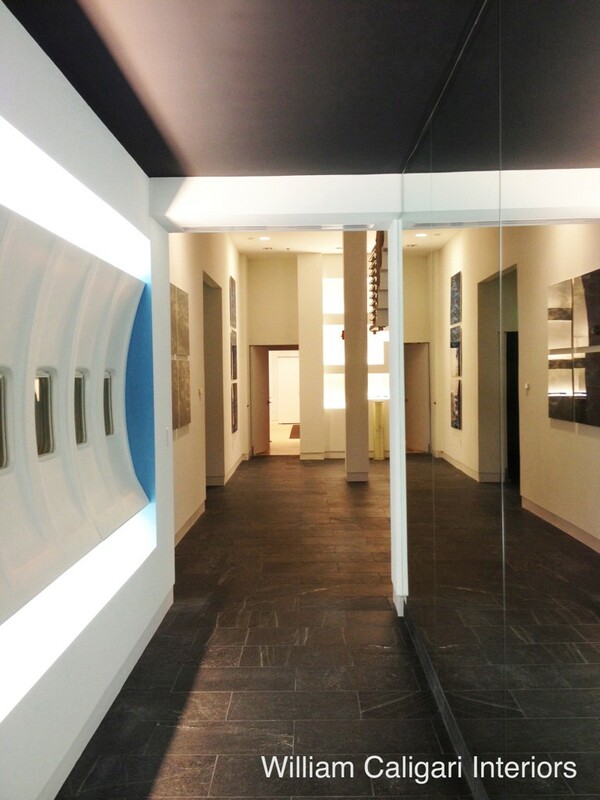 The airplane side panel corridor, below right, represented a partnership with Sabic in the supply of their product to produce airplane interiors. 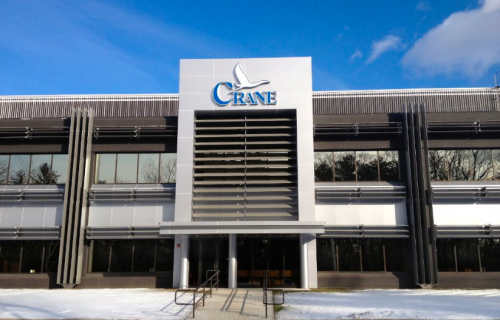 The Crane project is perhaps our proudest workplace success — we believe we enhanced not only the physical space but the entire workplace experience for the Crane Technical Materials team. We like to believe that the appeal of the redesign played even a small part in Neenah Inc.’s decision to acquire Crane Technical Materials in 2014, for more than $70 million, as part of its worldwide portfolio of high-tech product manufacturing.